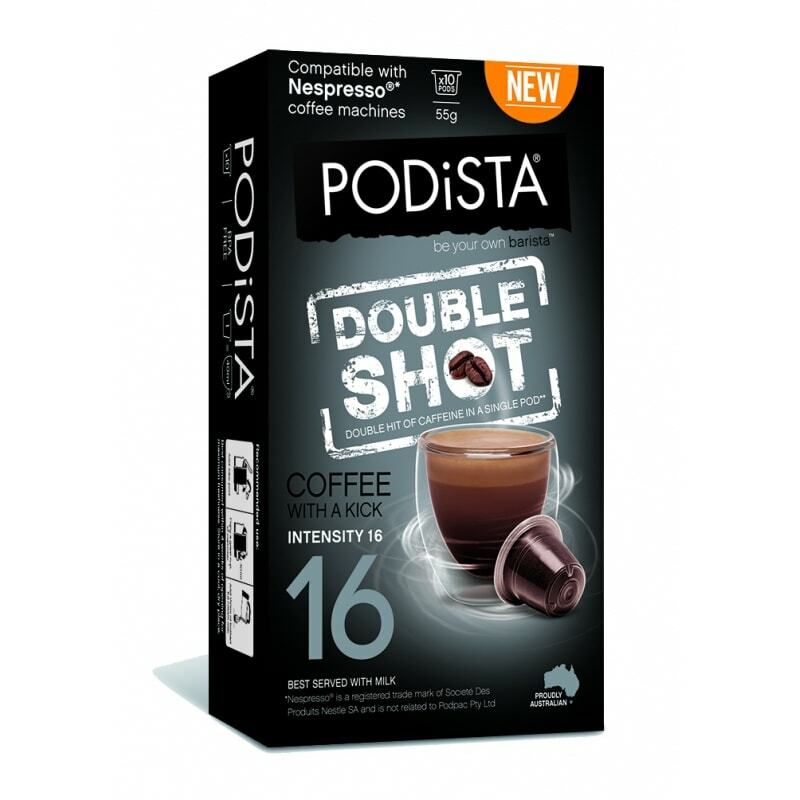 Nespresso* compatible Podista double shot coffee pods. 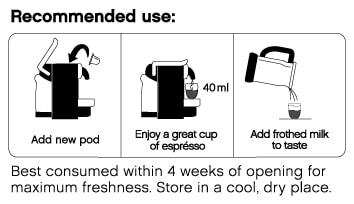 Do you sometimes use 2x standard Nespresso* pods to achieve a high quality, super strong coffee? 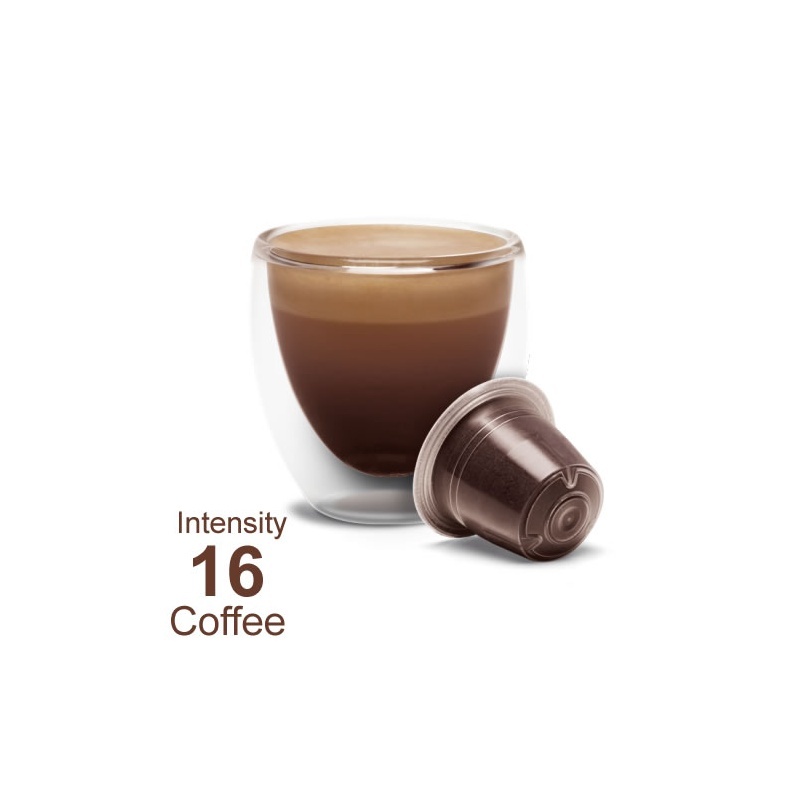 Our intensity 16 Double Shot pods contain fresh finely ground, roasted coffee beans boosted with natural guarana extract sourced from the rainforests of Brazil. With 150mg caffeine (2x a standard pod) it really is coffee with a kick! The worlds first Nespresso* double shot pods - double the caffeine of a standard pod. The Podista double shot pods have got to be one of the strongest Nespresso' capsules on the market! Ingredients - Freshly Ground Roasted Coffee Beans, Natural Guarana Extract.